Joined by black and white. With Nike‘s annual Air Max Day more than a few weeks down the line, its Air Max 95 OG model has surfaced in a new iteration. The bold red colorway earns the nickname “Habanero Red” and rests atop a black sole unit. Within its midsole, you’ll find visible Air Max units that match the upper. Black eyestays complement the aforementioned sole unit and see a subtle contrast thanks to the white mini Swoosh on the upper. Lastly, the heel’s “Nike Air” logo receives the dominating red tone with a black outsole and tongue details to complete the striking execution. 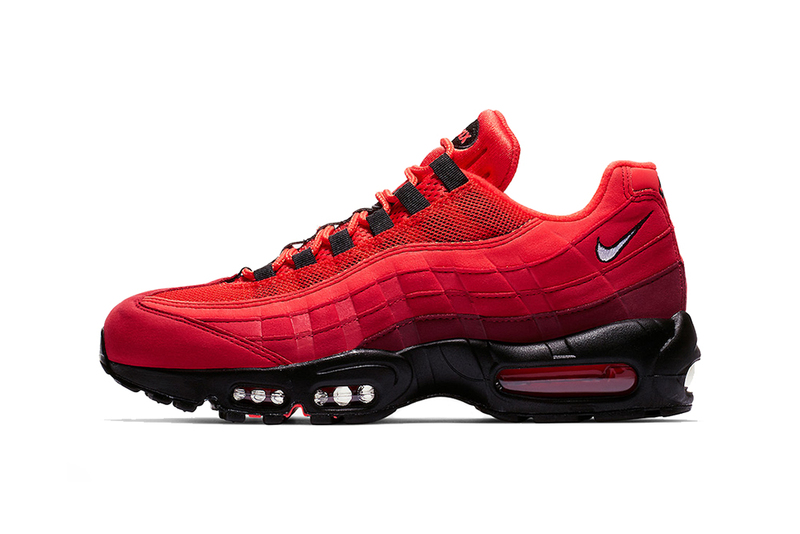 The Nike Air Max 95 “Habanero Red” is expected to arrive this Spring for $160 USD at select Nike Sportswear stockists and Nike.com. AM 95 enthusiasts can also take a look at its simpler “Fresh Mint” edition. If you haven’t, check out her latest album, ‘El Mal Querer,’ which dropped last year. Known for his black and white portraits of Pablo Picasso, Truman Capote, and more. The basketball sneaker heavy week also features Jordan and Kobe. Some great new albums you may have missed. Three Stripes confirms a release this February.